Sons Of Gods songs vary from full on, in your face tracks such as The Boys In Blue and You Don't Know, too the more sultry, simmering numbers such as Madness Of Creatures and You Might Like It. If you don’t try you’ll never know. Nothing matters now and the sky has no clouds, it’s a perfect day. Eyes rolling blinded, Destroyed inside with a thirst too dry to save. Black dreams crying for new life’s blood, lost souls fighting for a grave. Helpless…drawn back to this place. Darkness surrounding the veins within , a heart insipid to the core. With friends deserted and love betrayed, a tired shadowed lifeless form. Storms crowded round you with rain to taste, how long before you sell your soul. Severed ground below you, life seeping through. A strength that carries you back home. Human? Sentenced to life this way. Humans sentenced to life this way. Like a cloud hovering so. … If only I could catch them. Eject my hand and hold one real tight. Open it up and it just flies away. I make that face that brings smiles to tears. Why don’t they, just leave me alone. There’s gnats, they’re making me cough. With a knife I’ll cut your wings right off. They’re everywhere and don’t hear my cries. Death by gnats, this is my worst nightmare. Lift my hand, they’re eating my head. Why don’t they just leave me alone. Focusing on my brain, yep! Already on the run from the boys in blue. It’s my livin, my life, it’s my family. You didn’t know the reasons why. You think you know but it’s a lie! But with contempt I cannot Lie! You don’t know…..You don’t know! But why am I still to blame? I sit alone left to decide. You think you know ,but, it’s a lie! You don’t know, you don’t know! 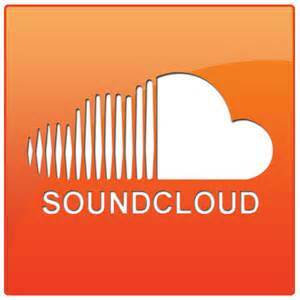 Click a button to listen to our music on Reverb Nation or Sound cloud.